Some people write US states completely; many publishers want the standard two letter abbreviations. It is a good idea to have a list where you can find it quickly. Luckily, this is often an appendix in a reference book or dictionary. I have one helpfully provided in my most-used style guide. You know that feeling when you're working through some physics, and you need to plug in the value of Planck's constant? Or the mass of an electron? Well, I have 40 of these constants right on my calculator. 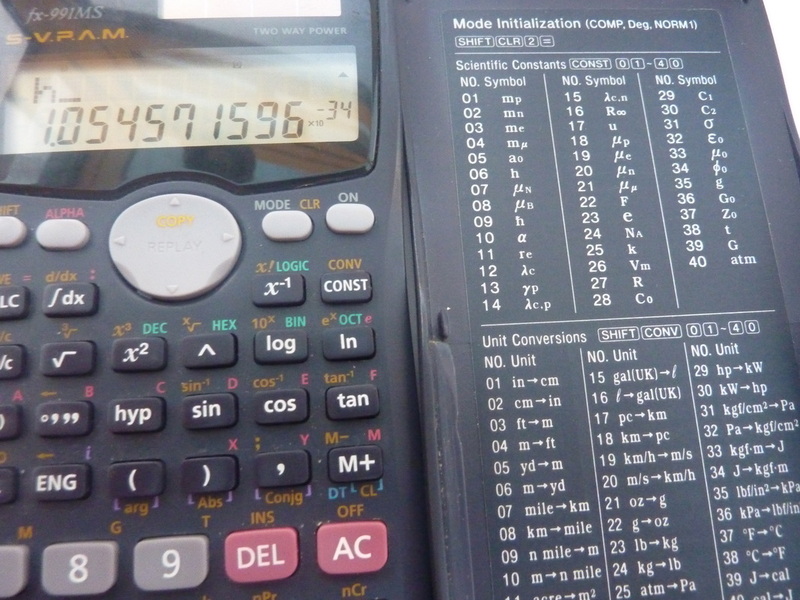 Moreover, for switching between metric and imperial, the calculator also has 40 conversion factors built in; I just type in the numbers, and it does all the maths.